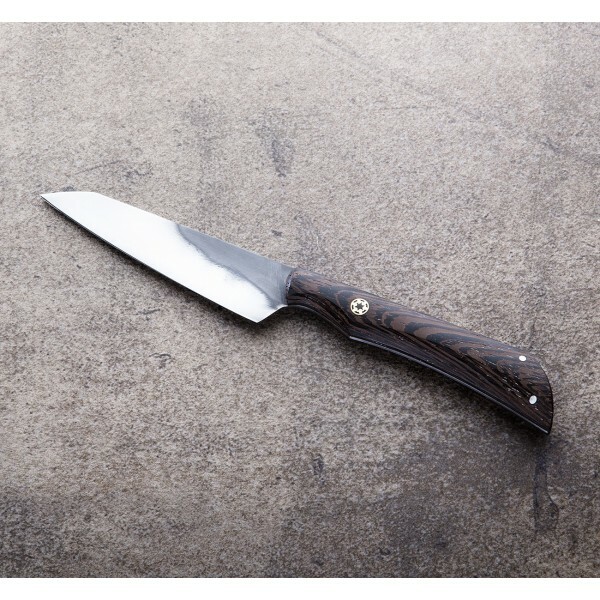 Designed by Don Carlos Andrade as the 'companion' piece to his larger FTTU model, this handmade utility / paring knife features a gorgeous African Wenge handle with a single mosaic pin and two stainless pins in the back. 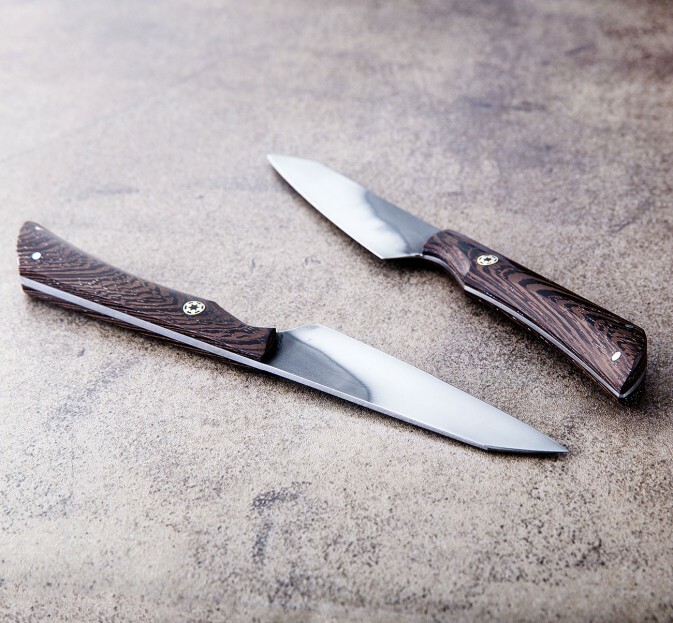 The 1095 carbon steel blade is differentially heat treated and etched to reveal the temper line Don does so well., and the slightly convex blade is then polished by hand. Balanced beautifully, the 3.75" (95mm) blade and comfortable, ergonomic handle make for a versatile and delightful cutting experience. A cloth-wrapped protective case is included. 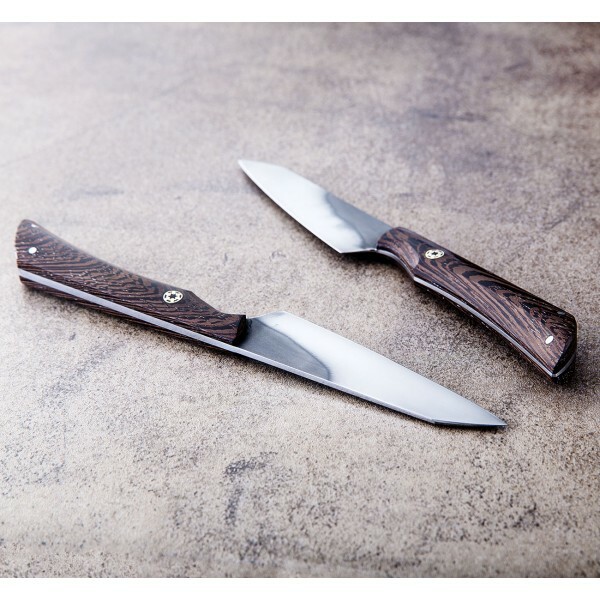 Designing and building custom kitchen knives for over a decade, Don Carlos Andrade trains his extensive experiences in fine-dining kitchens on heirloom quality cutting tools for amateur and professional chefs alike. 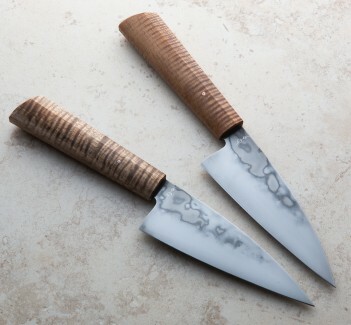 Creating each knife by hand in his one-man shop in southern California, Don's work is second-to-none in function and uniquely recognizable in aesthetic form. Every kitchen deserves a Don Carlos Andrade blade. 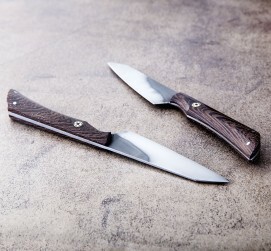 Blade length: 3.75" (95mm).  Overall length: 10". Blade width at heel: 2.25mm. Blade height at heel: 25mm. Weight: 2.2oz / 62g. 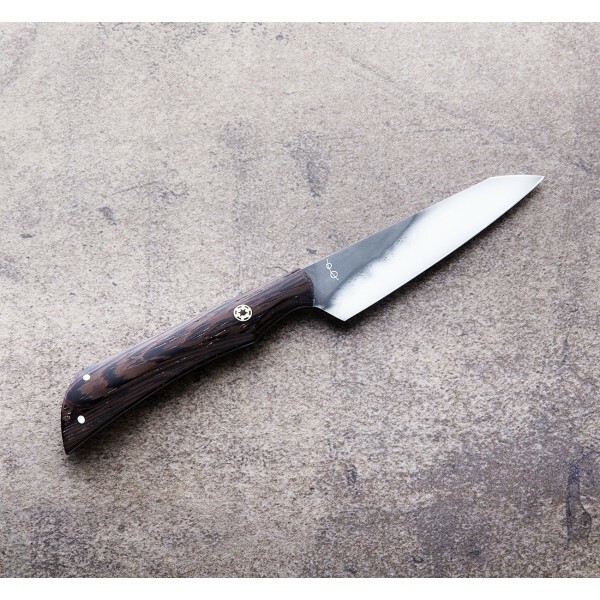 Blade: 1095 carbon steel. Handle: African Wenge with mosaic and steel pins.